An anti-monarchy group has launched a campaign in Truro calling for the abolition of the Duchy of Cornwall. The duchy - a private estate spanning 23 counties founded 700 years ago - provides an income for the Prince of Wales worth about £18m a year. 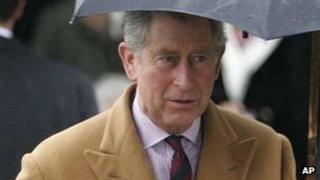 Pressure group Republic said it "should be taken away from Prince Charles and placed under democratic control". The Duchy of Cornwall declined to comment on Republic's campaign. Dartmoor tenant farmer, Maureen Rolls said she was upset such a campaign had been launched. "The duchy are marvellous landlords, the whole thing is unspeakable quite honestly," she said. "I dread the thought that someone could instigate this."